Posted on Март 31, 2016 by Татьяна Н. This is my opinion about the film «The Night Watch» by Timur Bekmambetov, which was a success in Russia in 2004. The film is based on the book of the same title by Sergei Lukyanenko. 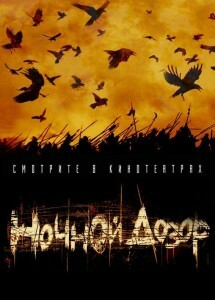 I would like to tell you about a gothic thriller, the first Russian Blockbuster, “Nochnoi Dozor” (Night Watch). Konstantin Khabensky is starring in it. This film was a great success in Russia in 2004. The author of the book is Sergei Lukyanenko. His novels are very popular among young people. The trilogy includes the novels “Night Watch”, “Day Watch” and “Twilight Watch”. The plot is based on a story of a virgin who got cursed. Because of the curse there was complete darkness in the world. Then the forces of light rose up to combat the evil. They fought until they realized neither could win. And they decided to make an agreement, which would help to maintain the balance. The Night Watch are to control the dark side and the Day Watch are supposed to control the light side. 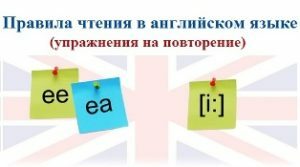 These people were called Others («Другие»). The time passed and in 2004 a special “Other” arrives in the world. It is he who will decide the balance between light and dark and he must choose which side to take. The film was stuffed with special effects enhanced by computer technologies. The suspense is built up throughout the film until the Other makes his choice and the Night Watch finds out who cursed the virgin and do something about it. That’s the basic story. As for the cast, they are truly brillant. Konstantin Khabensky stars as Anton Gorogetsky; Vladimir Menshov as Geser; Valeri Zolotukhin as Vampire; Mariya Poroshina as Svetlana, the cursed virgin. In spite of it is a thriller, there’s reasonable amount of blood. Overall, it is a very exciting film with a great soundtrack, which varies from classical to Goth rock. I definitely advise you to watch it especially because it is the first Russian blockbuster. This entry was posted in Books & Films.